Remotely connect to your EMR and provide care on the go. 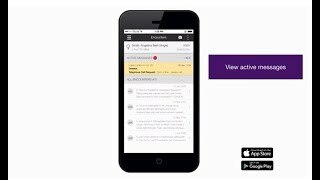 Access patient, schedule or clinic information, view and process labs, read or send messages – all from your mobile device or internet browser. 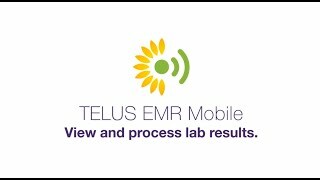 The TELUS EMR Mobile app is complimentary for TELUS Health EMR users. 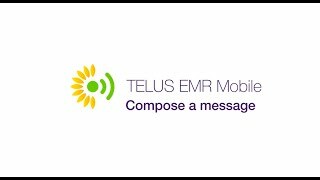 Join more than 13,000 physicians, nurses, clinic staff and other health professionals across Canada who are using the TELUS Health EMR Mobile app to remotely connect to their EMR. Remotely access schedules, view patient charts and stay connected to other clinical information in the office, at the hospital, at home, or on the go. Take photos of patient symptoms from your smartphone or tablet, upload and save them directly to the patient’s chart in your EMR. Patient data and photos are not stored on your device. Access lab reports directly in your EMR from a supported mobile device or browser. Review results, and process and store reports - whether you are in or out of the clinic. Start by downloading the app available for Apple iPhone and Google Android users. Then, simply pair your device with your EMR. EMR Mobile can also be used from a supported web browser. 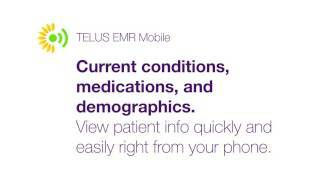 Click here to access the web browser version of EMR Mobile. Benefit from an easy-to-use and intuitive application. Start using EMR Mobile without any training or preparation. EMR Mobile is paired with your EMR. Photographs are sent directly to your EMR, and are not stored on your mobile device. 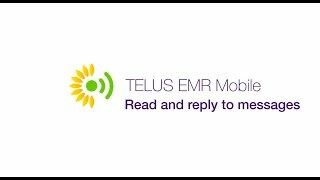 Access your EMR remotely - at the hospital, at home, on a house call, or even while travelling through the TELUS EMR Mobile app. All you need is a data plan, Wi-Fi or internet connection on a supported smartphone or tablet. "It allows me to be far better prepared, and to have the information I need right at my fingertips." "With the EMR mobile app, you don’t have to import photos. It just sends it right to the file." "It’s hard to describe some things by typing up a note. Taking a picture saves a lot of time." "For physicians who are mobile, the ability to have information go with you is incredibly valuable." Ready to discover EMR Mobile? Download the EMR Mobile application. Click here to stay up-to-date on the latest features included in each new EMR Mobile release.